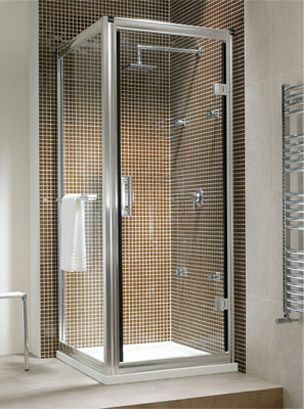 The Twyford Hydr8 hinged shower doors are a luxury door perfect for a recess application from one of the most respected of British bathrrom manufacturers. This branded product has a few unique features that set it apart from cheaper offerings around. The hinged design consists of a frame with a full outward opening frameless 8mm door panel. A set of both clear and black seals are supplied so you can fit whichever you prefer. The door also features a confident concealed magnetic closure to provide a water tight seal. With plenty of door adjustment and no visible fixings the hinged Hydr8 range will be sure to find a home in lots of bathrooms. 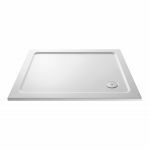 4 sizes are available from the small 700mm to create a space in a compact ensuite up to the largest 900mm offering. 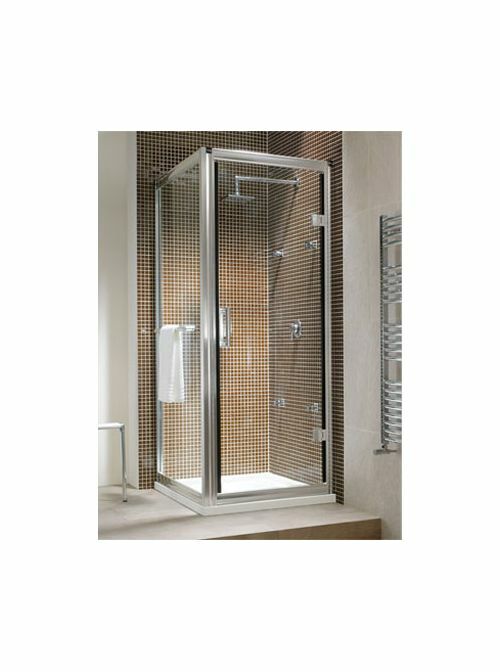 Also available is a Hydr8 framed 8mm glass side panel to transform the shower door into a full enclosure for locating in a corner. The side panel also features a towel rail as standard so you can have a towel ready upon exiting the enclosure. 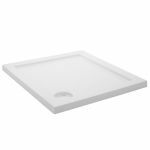 Choose from a variety sizes to suit your shower tray.